Fashion, whenever we hear this word what flashes in front us is jazzy clothes, sparkling foot wears, trendy glares etc. The word ‘Fashion’ takes us to a world tour of cities which are also known as the fashion capitals of the world, from Paris to Milan, from Vegas to Mumbai, and so on. 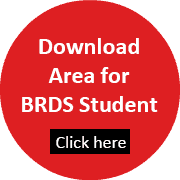 BRDS offers various courses related to fashion technology, and they fall under both, undergraduate as well as post-graduate category. Eligibility: 10 + 2 (With Physics, Chemistry, & Maths ) from a recognized board of Education. of apparel, lifestyle, accessories (watches, footwear, eyewear, jewellery), home furnishings and wellness. Career:The programme equips students to pursue careers in areas of Apparel Technology Management, Industrial Engineering, Quality Management, Production Management, Garment Fit, Supply Chain & Logistic Management, Merchandising, CSR, Business Analysis, Research & Development and Consultancy in the global fashion industry. 1) Quantitative Ability: This sub-test is designed to test the quantitative ability of the candidates. The sub test consists of questions on Addition, Multiplication, Division, Fractions, Percentage, Rate of Interest, Work and Task, Ratio and Proportion, and Distance. 2) Communication Ability and English Comprehension: This sub-test is aimed at testing the language ability of the candidates in day-to-day communication in English. It includes questions on synonyms, antonyms, words with corresponding meanings, singular, plural, one word substitutes, idioms and phrases, correct spellings, comprehend a situation from a given passage etc. 3) Analytical Ability and Logical Ability: This sub-test is designed to test the candidate’s capacity for inference and logic from the given information and to evaluate the candidate’s ability to identify the given problem and apply reasoning in solving the core issues of the problem. Concepts and practice of creative and lateral thinking are likely to be useful. 4) General Knowledge and Current Affairs: This sub-test is designed to test the candidate’s general knowledge and current affairs. 5) Case Study: This sub-test is based on a situation of an industry environment. It helps to evaluate the candidate’s managerial ability.